Fiona takes a first look at the causes of the conflict, focusing on Charles's personal rule, which involves, amongst other things, making good money out of bad soap. Two of the most prominent artists in Charles’s court are Anthony van Dyck and Daniel Mytens . Apart from the fact that both are really great painters, Mytens in particular painted some of the key players in court, often several times - and it’s always nice to put a face to a name. …which apart from being really elegant phrasing (or so thinks this poetry nerd), is a great example of chivalry being alive and well in Caroline England. I promised you in the episode that there’d be lewdness. If that’s what you’re here for, look no further than Robert Herrick, who knows exactly what he wants. Beyond that, the whole group is well worth a browse. William Laud - 1573-1645; English Privy Councillor from 1627, Bishop of London from 1628, and Archbishop of Canterbury from 1633. Steered Charles’s religious policy during the 1630s, which made him increasingly unpopular. 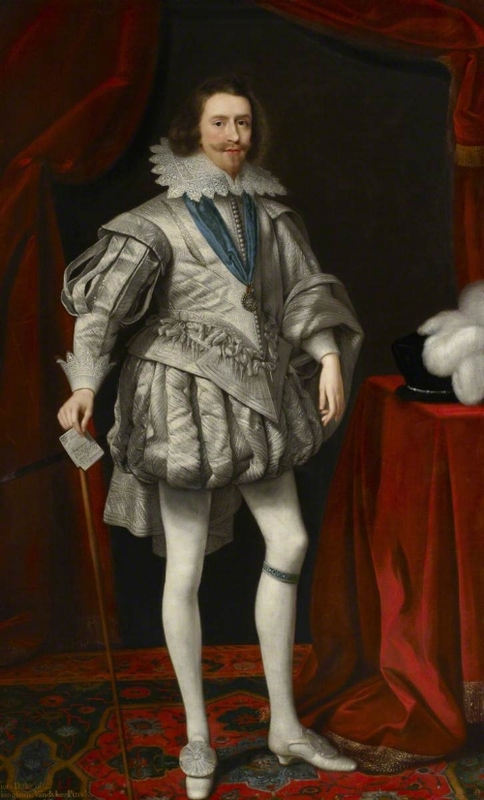 George Villiers, 1st Duke of Buckingham - 1592-1638; lover and adviser of James VI/I; adviser to Charles I. Extremely influential politician due to his closeness with James and Charles - but shockingly bad at foreign policy, and extremely unpopular with the general populace. Assassinated in Portsmouth in 1628 by John Felton, a naval officer. John Hampden - 1594-1643; MP for Buckinghamshire and leading critic of Charles during his Personal Rule. Best known for strongly opposing Ship Money, and for being the defendant in Rex v Hampden when he refused to pay it. He lost the case, by a narrow margin, and would end up being a leading Parliamentarian in the Civil War. I am not one for conspiracy theories in general, but that being said - this is George Villiers, the Duke of Buckingham. Pay close attention to his footwear. ...who has, to my mind, slightly less good taste in tights, but a remarkably similar pair of kitten-heeled sandals. 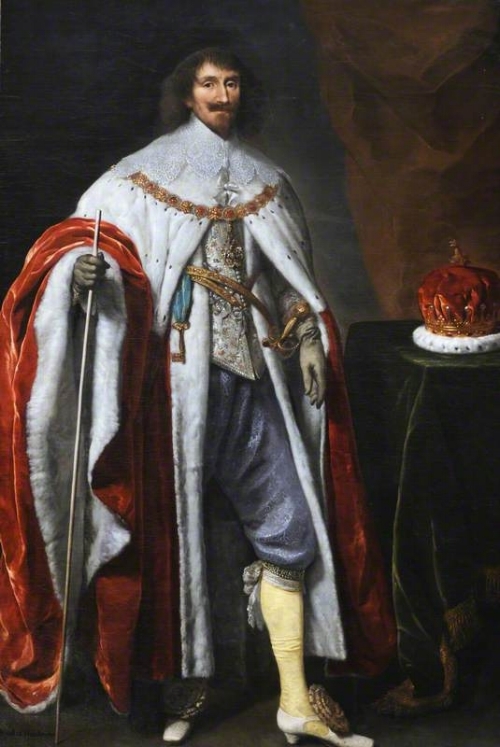 The Earl of Pembroke is trying to hide his sandals beneath his massive cloak, but we all know he borrowed them off Buckingham for the photoshoot. Either they're the same pair, or on Wednesdays we all wear white cut-out sandals with big rosettes on them. 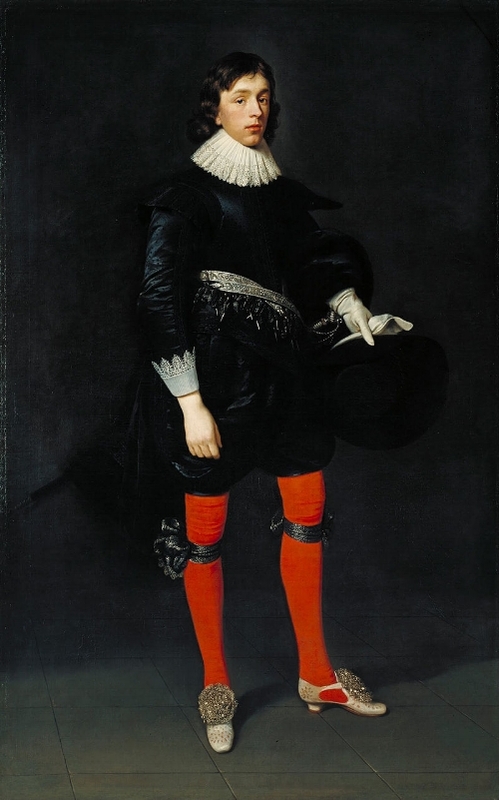 So if you got to the end of the episode and wondered what my last-minute fascination with the Duke of Buckingham's footwear was, this is it. Aren't you glad you found out?